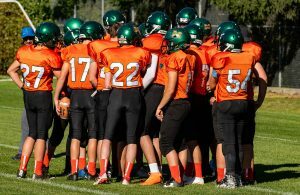 The Hold Cross Crusaders quarterback Andrew Hunt put together a five play 75 yard scoring drive on the game’s opening series and rolled on to a 28-7 road victory over the Earl Marriott Mariners on Saturday. Hunt ran the ball in for the two point convert for an early 8-0 Crusaders lead, a score that would hold through the remainder of the opening frame. Hunt increased the Crusaders lead to 14-0 with a 20 yard pass to TJ Fujimura midway through the second quarter. 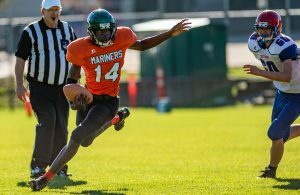 The Mariners seemed to find their legs and responded with an impressive drive led by quarterback Byron Ruvalcaba that was capped off with a 25 yard touchdown pass to Sam La Roue to make the score 14-7. A big return of the ensuing kickoff set up another Holy Cross touchdown toss by Hunt, this time to Silas Marchan, the Mariners conceded a two point safety late in the half and the Crusaders went into the split with a 22-7 lead. Hunt found Fujimura with another touchdown pass, this one a five yard toss, with two minutes remaining to make the final score 28-7. Mariners Head Coach Mike Mackay-Dunn thought his team was lethargic and played a very sloppy game, but wasn’t about to make any excuses “We need to be ready to play no matter what time kick-off is, be it 12 noon, five in the morning or 11 at night, you need to prepare accordingly and come to the park ready to play football” he said. 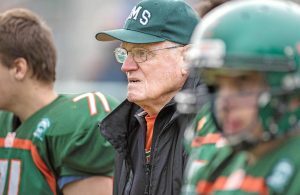 It was a sad day for the BC Football community with the loss of Matt Phillips, and very emotional game for Mackay-Dunn and assistant coach Bill Haddow, both were close friends with and mentored by Phillips. 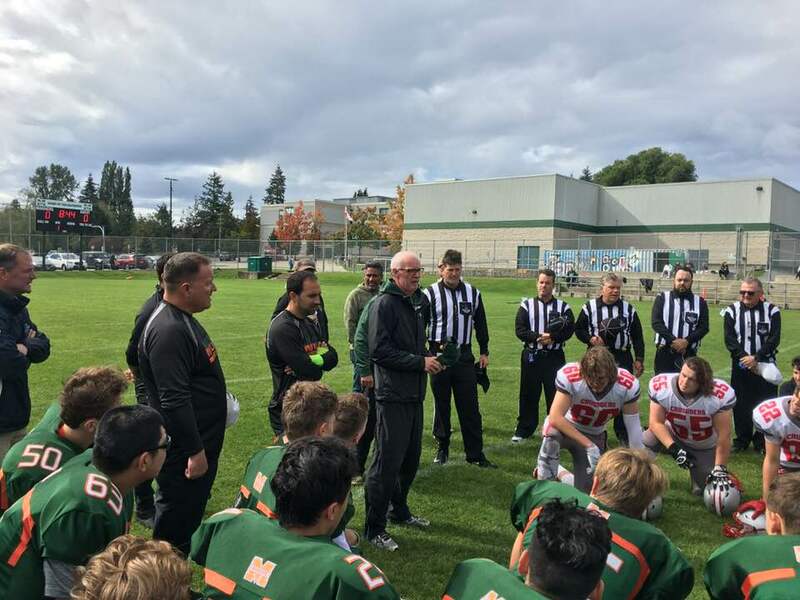 Both teams and officials gathered at center field prior to the game to recognize a moment of silence for the former Earl Marriott assistant coach and adviser, who was a BC High School legend and inducted into the BC Football Hall of Fame in 2016.